I wrote ‘Nouka’. It means Farmer in English. ‘Nou’ means Farm or Agriculture ‘Ka’ means House, One’s home, Family or Household ‘Nouka’ is used for personal farmer or farm family. The food self-sufficiency rate of Japan is low. We eat a lot of importation food from abroad without rice. The population of farmers is about 3% of the population of Japan and farmers are aging. Japan agriculture is under the protection of the government. So, Japan Agricultural Cooperative oppose participation in TPP. How about your country? 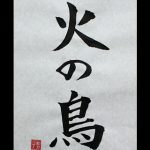 I wrote ‘Kuji-kiri’. It means Nine symbolic cuts in English. It is Japanese occult art. 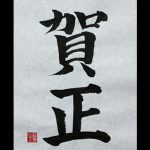 ‘Ku’ means Nine ‘Ji’ means Symbol or Character ‘Ki’ means Cut ‘Ri’ is Hiragana Exactly, this art is called ‘Kuji-Goshinhou’. It has two ways. The one way to make a chopping motion, it is called as ‘Kuji wo Kiru’. The another way to make symbolic signs with the fingers, it is called as ‘Kuji wo Musubu’. The second way is different in each denomination. It is too dangerous way for the one who don’t practice asceticism. Don’t do the second way. What is your favorite word ? I’m waiting for a request. I wrote “Hi no Tori“. It means “Firebird” or “Phoenix” in English. “Hi” means Fire “no” is Hiragana “Tori” means Bird There is popular manga ‘Hi no Tori (English title:Phoenix)’ by Osamu Tezuka in Japan. I like this series. What is your favorite word about creatures of fancy? I’m waiting for a request. I wrote “Ganjitsu” and “Gantan“. “Ganjitsu” means “New Year’s Day“, and “Gantan” means “The morning on New Year’s Day” in English. 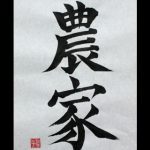 First Photo ( Ganjitsu ) “Gan” means Beginning or Origin “Jitsu” means Day or Sun Second Photo ( Gantan ) “Gan” means Beginning or Origin “Tan” means Daybreak, Dawn or Morning Japanese kanji symbol “Tan” express that the sun rises from the horizon. 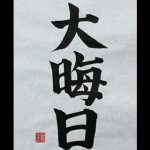 The horizontal line is under the kanji symbol for the sun. What is your favorite word about season? I’m waiting for a request. A Happy New Year ! I wrote “Gashou“. It means “A Happy New Year!” in English. 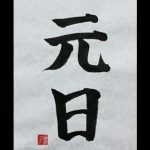 “Ga” means Congratulation or Joy “Shou” is abbreviation of the New Year or January in this case. We have many New Year’s greetings. It is the easiest of them and used in New Year’s card. 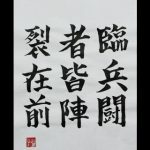 We don’t say “Gashou” to others, we say “Akemashite Omedetou Gozaimasu”. What is your favorite word about season? I’m waiting for a request. I wrote “Oomisoka“. It means “New Year’s Eve” in English. 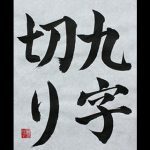 “Oo” means Large, Big, Huge or Great “Miso” means Last day of the month or dark “Ka” means Day or Sun “Misoka” is the last day of the month, and “Oomisoka” is the last day of the year. On new year’s eve, we eat Soba ( buckwheat noodles ) for our good health and “Joya no Kane” ( bells ringing out the old year ) are struck at temples. What is your favorite word about season? I’m waiting for a request. 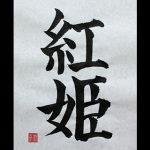 I wrote “Benihime“. It means Crimson Princess or Bloody Princess in English. “Beni” means Deep red, Crimson or Rouge “Hime” means Princess It’s the name of Kisuke Urahara‘s zanpakutou in BLEACH. He is the owner of the Urahara Shop. What is your favorite word in “BLEACH“? Please let me know your favorite word. 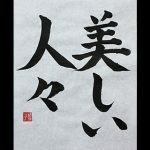 I wrote “Utsukushii Hitobito” and “Serebu“. “Utsukushii Hitobito” means “Beautiful People”, and “Serebu” means “Wealthy Socialite” and “Celebrity” in English. 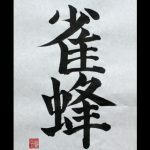 First Photo ( Utsukushii Hitobito ) “Utsuku” means Beautiful or Noble “shi” is Hiragana “i” is Hiragana “Hito” means People or Person “Bito” is repetition of kanji Second Photo ( Serebu ) “Se” is Katakana “Re” is Katakana “Bu” is Katakana “Utsukushii Hitobito” is literal translation of “Beautiful People” and written in “Beautiful People” by Marilyn Manson that is on Japanese market. But, “beautiful people” means “rich people in high society”, doesn’t it? “Rich people in high society” is “Jouryuukaikyuu no hito” in Japanese. We call them “Serebu” in Japan….